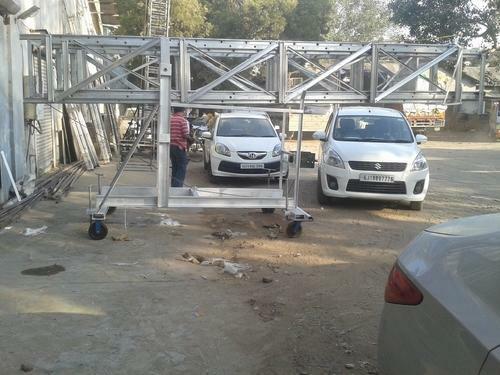 With the help of our dexterous professionals we have introduced aluminium ladders. These are widely appreciated in the market for their superior quality, resistance to corrosion, light weight, strong frame and durability. Our premium quality aluminium for manufacturing our ladders are procured from some of the most reliable vendors in the industry. Moreover, these products are tested on various parameters by our quality analyzers to ensure their adherence to set industry standards and quality norms. 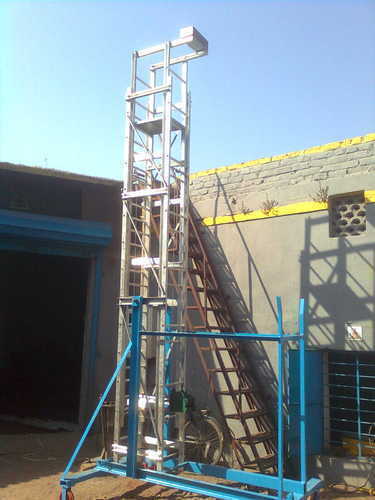 Further, we also develop these ladders as per the specification of our clients for their maximum satisfaction. 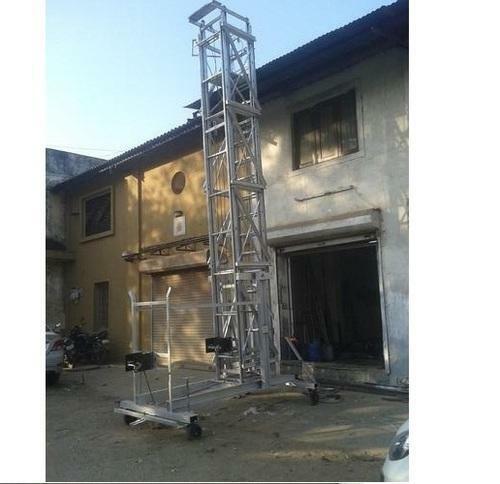 Aluminium Square Type Tower Ladder comprise high quality Aluminium Ladders that provide for easy handling as well as easy adjustment. For long lasting usage values, these are constructed using quality aluminum which also makes these deliver consistent and stable performance values. 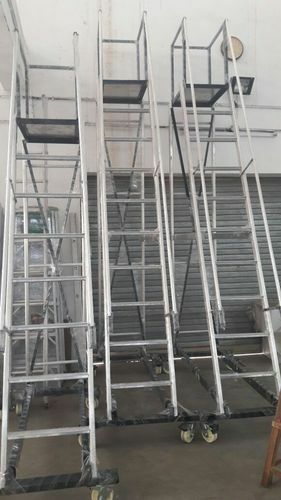 For quality performance, these Aluminium Ladders are also supported with heavy duty rubber shoes at bottom as well as on top so as to make these safe and non - slippery. Single Mast Aerial Work Platform offered offers seamless transmission between lifting masts to minimize sway amount after lifting. 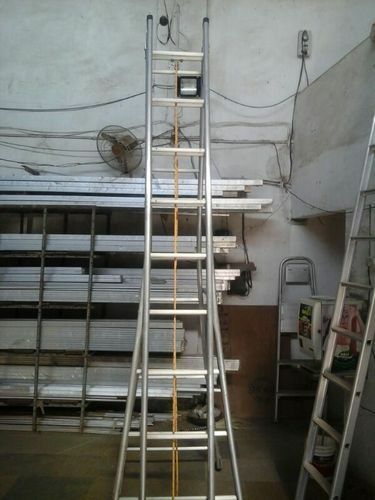 Aluminum Telescopic Ladder offered is suitable for use in a variety of environments. Rubber Wheel Tower Ladder offered provide support as most versatile type of aerial apparatus. 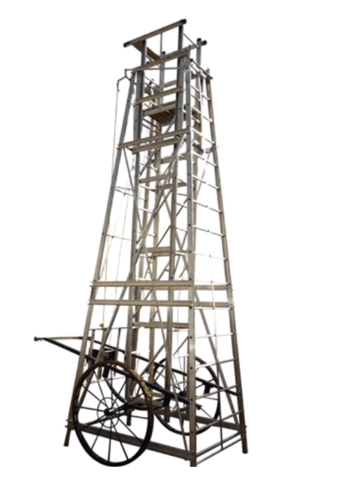 Square Tower Ladder comes fabricated using premium grade, high tensile alloy for superior performance. 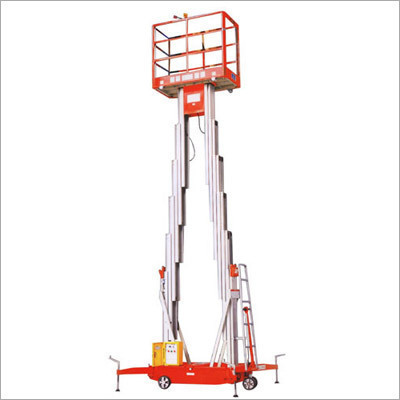 We hold an immense expertise in providing the customers with an excellent range of Hydraulic Aerial Work Platform. Developed as per the international quality standards, the range is used for the maintenance work of lightings. 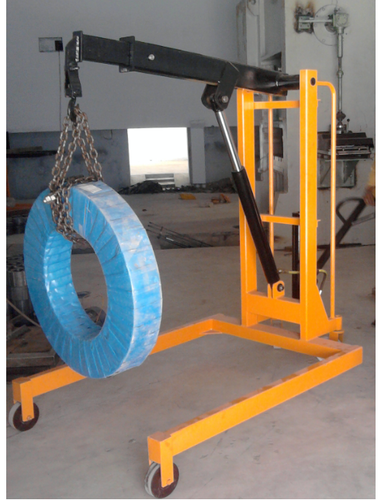 Besides, our range is appreciated by the clients for its durability, reliability and excellent performance. 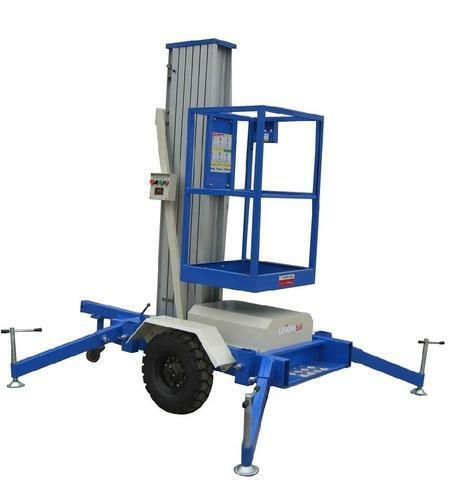 From the day of commencement, we are engaged in catering to the variegated requirements of the customers by bringing forth a comprehensive Square Telescopic Tower Ladder. Our products are manufactured using high quality raw material, advent technology and latest machinery. Further, our professionals fabricate these products in accordance with international standards of quality. Under the supervision of our professionals, we develop these tables so that the range is flawless and defect-free. 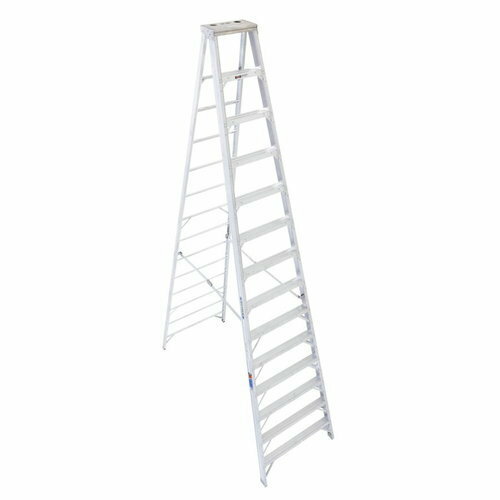 Aluminum Pipe Step Ladder are well recognized for their easy handling as well as easy adjustment features. These come fabricated using quality aluminum and assure customers of a longer functional life. Further, at the bottom, the aluminium ladders come supported with heavy duty rubber shoes that makes them deliver safe and non – slippery usage. Further, our expertise also lies in making these available in customized finish design options as desired by the customers. 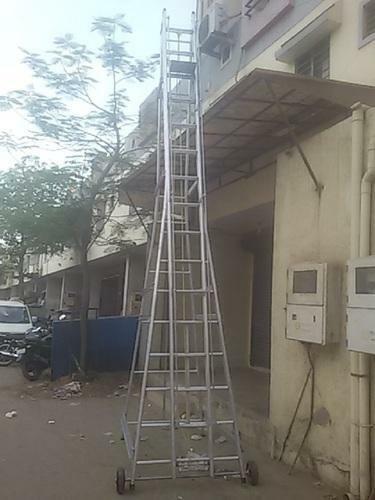 Aluminium Square Type Titable Tower Ladder offered comprise highly functional range of Aluminium Ladders that are well recognized for easy of handling as well as making easy adjustments. Fabricated using quality aluminum, these Aluminium Ladders also provide for longer functional life. For durable as well as safe usage, these also come attached with heavy duty rubber shoes at bottom as well as on the top so as to make these safe as well as deliver non – slippery usage. Here, we can also customize these as per the designs demanded by the customers. 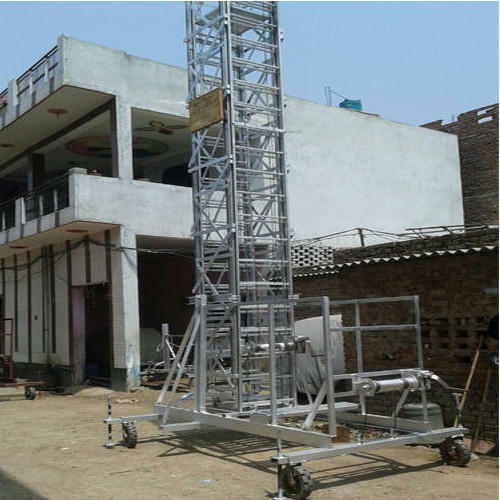 Following all ladders will be made from high tensile Aluminum alloy C section ( Hindalco , Jindal make only )- Size : 2.58" X 1.25" with Anti slip/corrugated 1" dia Alu. Pipe/flat steps having rubber guard at bottom & small platform at top. Platform & railing with 4 nos. castor wheels. 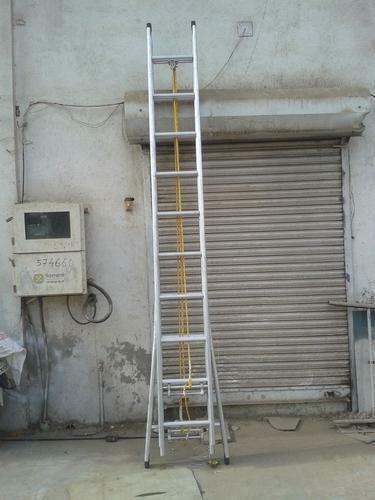 Wall Supported Ext Ladder offered provide optimum usage as self support extension ladders.